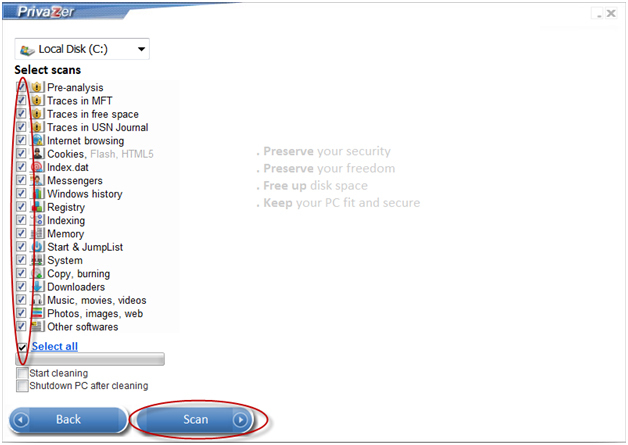 PrivaZer is a very useful application that will enable you to scan and identify any application and Internet browsing traces on your system that you want to get rid of. The app can get rid of useless files and other items that you might not want on the computer. It performs in-depth scans and securely cleans the system, wiping out any traces of Internet browsing and other activities.